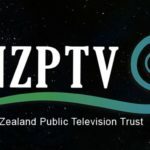 InternetNZ (Internet New Zealand Inc) and non-profit IT organisation NZRise will this week travel to the 11th round of the Trans-Pacific Partnership (TPP) negotiations in Melbourne to represent the interests of New Zealand’s Internet and IT communities. Both organisations will appeal to negotiators for a fair and balanced intellectual property chapter. The TPP is a ‘trade agreement’ being negotiated by nine countries. It covers diverse subject matter from textiles to telecommunications but is, in fact, much more than a simple ‘trade agreement. 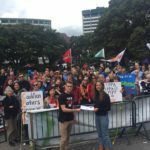 InternetNZ and NZRise are seriously concerned that the TPP amounts to a beyond-the-border deal, reaching into New Zealand’s domestic intellectual property (IP) legislation. 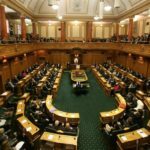 Strict IP laws being pushed for by the United States in the TPP’s IP chapter would require changes to New Zealand law that will significantly affect the Internet and New Zealand-owned and operated ICT businesses negatively. Together with the Australian Digital Alliance and with funding support from InternetNZ and others, NZRise has organised a special lunchtime event on the margins of the negotiations. This will be NZRise’s second TPP event. The organisation put on a similar event during last year’s Vietnam negotiation round. InternetNZ Policy Lead Susan Chalmers will present at the TPP stakeholder forum on the importance of preserving an open Internet. Chalmers presented at the Chicago round of TPP negotiations in September, where she spoke on digital copyright issues such as broad copyright protection for “temporary copies” proposed by the US. Discussions as important as these need to be conducted in an open and transparent way, she says. InternetNZ Chief Executive Vikram Kumar, who will also present at the NZRise event, says he wants the TPP negotiators to hear about the crippling effects of the IP chapter proposed by the US. “We continue to strongly support the position taken by New Zealand negotiators on the IP chapter. However, the US proposals could fundamentally undermine the economic and social opportunities the Internet provides to people, communities and businesses. It is critical we raise awareness on these issues now as opposed to later when countries are making trade-offs and compromises on unresolved issues, like the IP chapter, to get the deal done,” says Kumar.